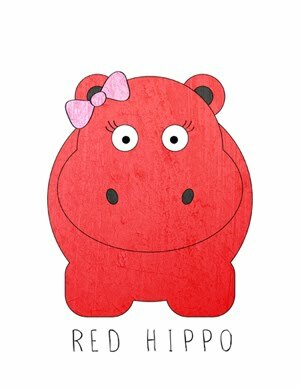 Red Hippo: notes on mourning. a friend died two weeks ago. i got a call at 8:30 in the morning on easter sunday. the call came from one of my best friends. shayne was sobbing, at first i thought she said "dakota died" (dakota is her dog) but then she repeated herself. "dad died." after i understood what shayne said, i heard her say; "can i see you?" "of course you can see me. i'm on my way right now," i said. as i pulled my things together, 5 month old infant included, i cried. i cried for shayne. i cried for the loss of such a great man. as i drove to shayne's parent's house to wait with her and her mom for the morgue to come and pick up rich's body, i thought about what a blessing it was to be her phone call. what a beautiful gift God has given me, the chance to be the person who shows up for a friend in need. i get to sit with my friend in her darkest hour. i get to hold the hand of lorrie, who woke up less than two hours ago to her husband of 40 years, gone. se who mourn." blessed- the word means upmost happiness. joy. how can i be joyful in a time of such sorrow and pain? joy permeates even the darkest of hours if you let it. joy is one of those things that stays. even as tears were streaming down my face as i hugged lorrie when i walked in the house- i felt that joy. that enduring gift that God has given me. the understanding that in this life, our greatest accomplishment is not to be loved, but to love. it's to comfort, rather than be comforted. it is to understand rather than be understood, and have faith when there is only doubt. there is so much beauty in mourning. so much lightness. it's hard to feel it, or see it but it's there. i believe whole heartedly that God uses such pain and sorrow to sow the seeds of joy, love, and grace. the loss of my own father made me far more capable of being an anchor for my friend. one day, she will know how to anchor someone else.